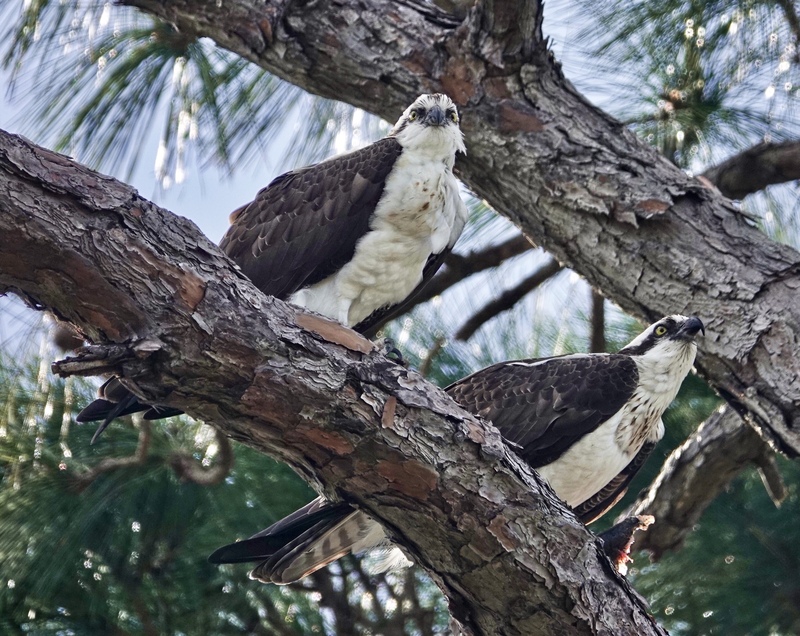 While looking for Florida Scrub Jays at the Helen and Allen Cruickshank Reserve in Rockledge Florida, I found this pair of Osprey up in a huge pine along the trail. I though sure they would fly before I could get in position for a shot, but they stayed put, and I was able to frame them. Sony RX10iv at 600mm equivalent. My birds and wildlife modifications of Program mode. 1/500th @ f4 @ ISO 100. Processed in Polarr.